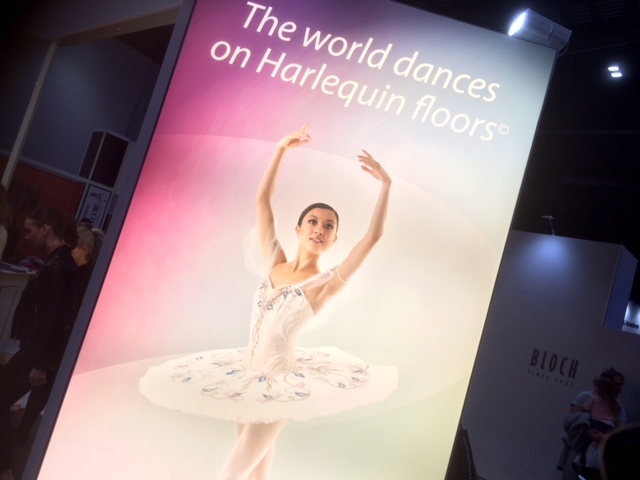 For those of you attending Move It 2016 this weekend in London, you might have caught sight of me at the Harlequin Floors stand. OK, so it wasn’t actually me; it was a full size poster of one of the photos from a shoot I did last summer with Nicola Selby for Harlequin. They are just starting to use them in their promotional material so here’s a peep of me in my beautiful Grishko fairy tutu, made for me here in Moscow.